The 4 Brigade of the Nigerian Army, Benin has announced plans to conduct a training code named, “Crocodile Smile II’’ in Edo, Delta and Ondo states. A statement by Capt. 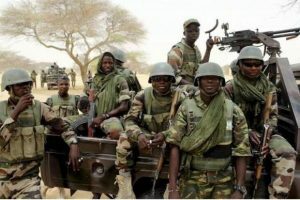 Mohammed Maidawa, Assistant Director, Army Public Relations in Benin says the exercise was in line with the Nigerian Army Training Directive. Maidawa said that the exercise, scheduled to take place from Oct. 7 to Oct. 28, would be in the Brigade area of responsibility in the three states. He said that troops of the headquarters of the Brigade and its units in the three states would participate in the exercise. The assistant director said that the exercise would afford troops the opportunity to train effectively on various aspects of operational proficiency in land and riverine operations. He also said, “Crocodile Smile II’’ was meant to sharpen the combat skills of the troops in the Nigerian Army operational capability. The assistant director urged the general public not to panic on sighting movement of troops and heavy equipment. According to him, it is a routine exercise undertaken by the Brigade as captured by the Nigerian Army Directive in 2017. Maidawa said that the exercise would commence with some civil-military activities, including medical outreach, environmental sanitation and donation of educational materials to schools.